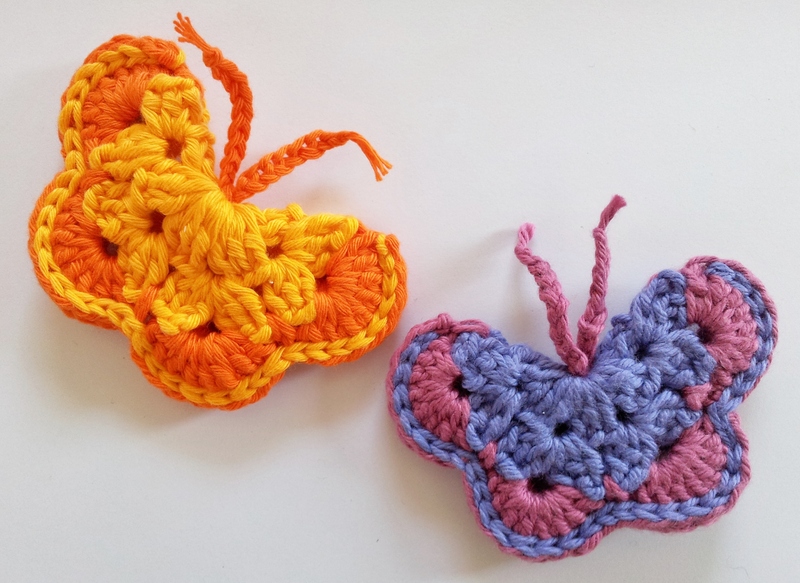 One of my favorite yarn shops, The Wool Bar, is asking for peeps to make butterflies for Breast Cancer Care Support. Such an amazing idea – I couldn’t resist joining in! Jane, who writes The Wool Bars “Hot off the Hook” blog, has even posted a fab crochet pattern on the web page to help. Do you have a “must make list”? 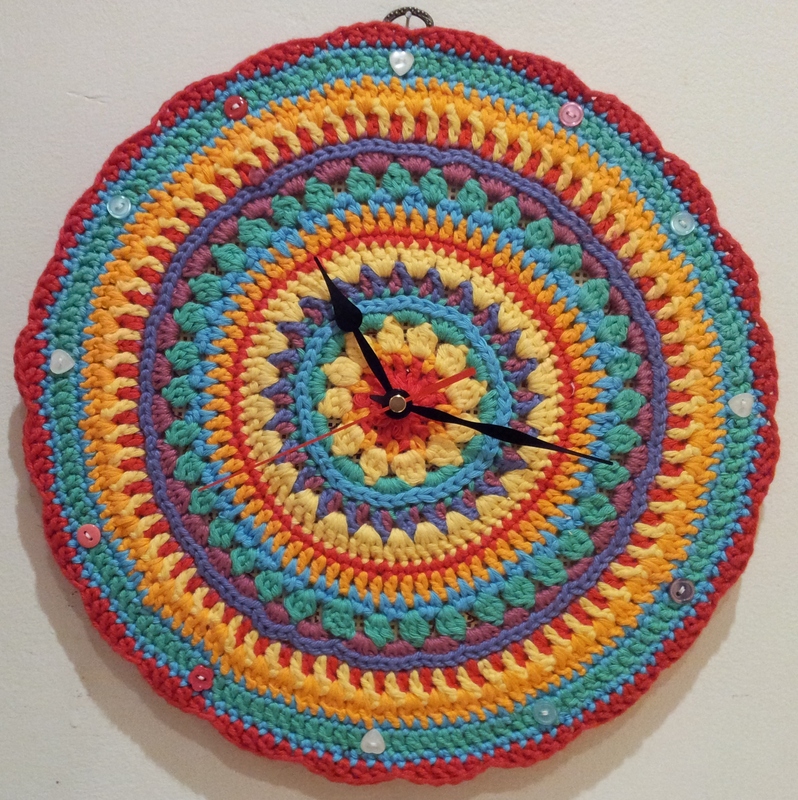 A crochet clock has been on mine for ages! With a crochet hook in my holiday hold-all, a clock mechanism sourced from a local charity shop and Barbara’s of Made in K town amazing Mandala flower pattern (found via Lucy’s recent Attic 24 post) the time was right!